This was our encore at a home concert. Though I wrote the tune, Phil Orr brings it to life with that funky feel on piano. Thanks to Princeton University's Keller Center for originally commissioning the piece. They used it as a theme for their educational videos. Iko, Iko! A Mardi Gras party in Princeton, NJ, Feb. 28, 2017, with members of the Sustainable Jazz Ensemble. 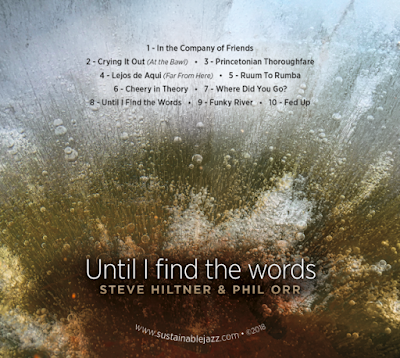 Phil Orr on piano, Lars Wendt on trombone, Steve Hiltner on saxophone. Sitting in are Jeff Whetstone on harmonica and neighbor J.D. on cajon (literally). J.D. grew up in New Orleans. Lars Wendt on brass of many tonal colors, and the orrsome Phil Orr on the keys. Surprise! Our next door neighbor, June, plays a soulful violin, adding feeling of deep Americana to the festivities.